Sam McMillen and Elizabeth Modde are both medical students at the University of Missouri. 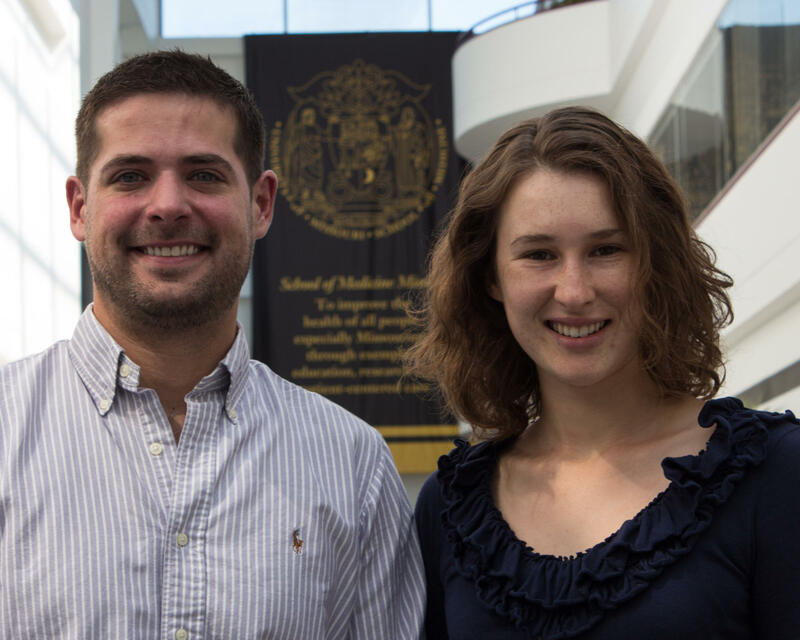 They both work or have worked with MedZou – a free community health clinic run by medical staff and students. Sam is currently the Director of Patient Advocacy and Referrals, and he sat down with Elizabeth in May to discuss some of the healthcare struggles their homeless patients face, and how their relationships with patients has changed them. Sam McMillen: We definitely see quite a bit of heart disease, a lot of blood pressure, a lot of diabetes, a lot of chronic illness that is really difficult to manage when you're in an out of care, because it's a little bit more manageable when you have consistent care. If you're in and out of insuredness, and you're losing providers constantly and having to switch, it makes it way more difficult to manage, so that disease just continues to progress. We also deal with a lot of mental health - that's one of things that's been growing the most - especially with outreach. And kind of seeing what the outreach needs are for mental health is that we have a gigantic demand for it, especially in our niche that we're working with. Elizabeth Modde: If you think about the social structures and influences that you have and that you're dealing with when you're homeless, that can trigger mental illness in many ways, and also if you have an underlying mental illness that can be one of the predisposing factors to why you end up homeless. So I think as we build relationships with people, especially at outreach events where we're there every week, people begin to open up and share the mental health side of things. So yeah, we see that a lot. Sam: I think for me the most rewarding part so far has been talking to patients, just in the waiting room and in passing at outreach events, and knowing that when I leave that conversation that I made them feel more comfortable with healthcare. That's the most rewarding thing for sure. Elizabeth: I think there are two sides. There's the medical successes when the patient comes in with high blood sugar to one of our screening, and says that he has his insulin, but doesn't have a glucometer. That it got stolen, and so if we can give a glucometer and he can check his own blood sugar and know when to take his insulin… The next week I saw him, he was doing so much better, so that's really rewarding. Then the other bit is just relationships, like I'll walk in and someone will be teasing me about my shoe color if my shoes are brown and my skirt is black. Even seeing people in the community... I had finals this week, and I was walking to my final, and I see one of guys. So I take out my headphones- I was listening to a lecture - and we talked a little bit and I said, "Sorry, I'm distracted, I have a test," and he goes, "Ok, you know what you need to do? Just walk down 9th Street, and listen in your head,” and [then he] starts singing Eye of the Tiger. So I just think it's relationships. It's having people you care about and who care about you. This conversation was recorded by Jonah McKeown. Jon Reagan is a dentist in Neosho, Mo., who has been practicing for almost 20 years. 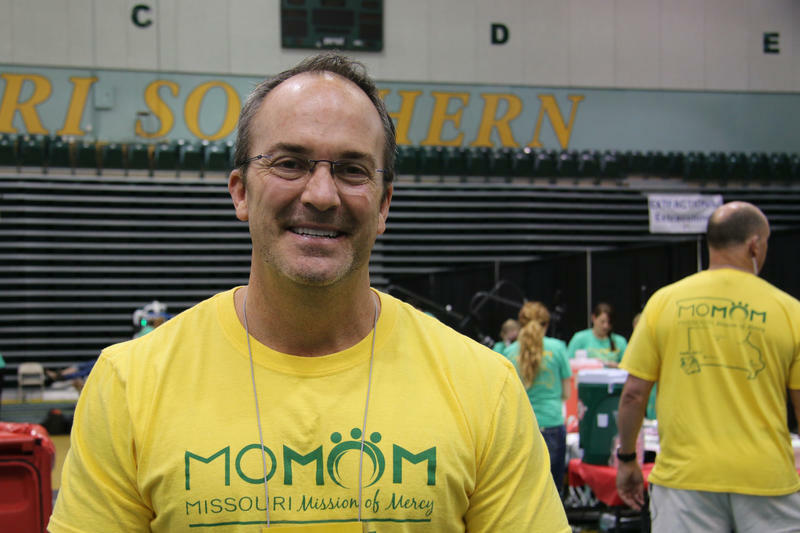 We met as he volunteered at the sixth annual Missouri Mission of Mercy (MOMOM). This is a once a year, two-day dental clinic providing free care for anyone who’s willing to wait in line. It’s in a different place every year, and this year the event was held in Joplin. Nine years ago, Jon began visiting North Belize as a medical missionary, helping people with extractions and oral health care education. He spoke about the similarities he sees between the oral health issues in rural communities in Missouri and in Belize, as well as his passion for volunteering at MOMOM. Darrell Watts and his sister Lisa Harrison both live in Audrain County. Darrell was born with cerebral palsy and is legally blind. 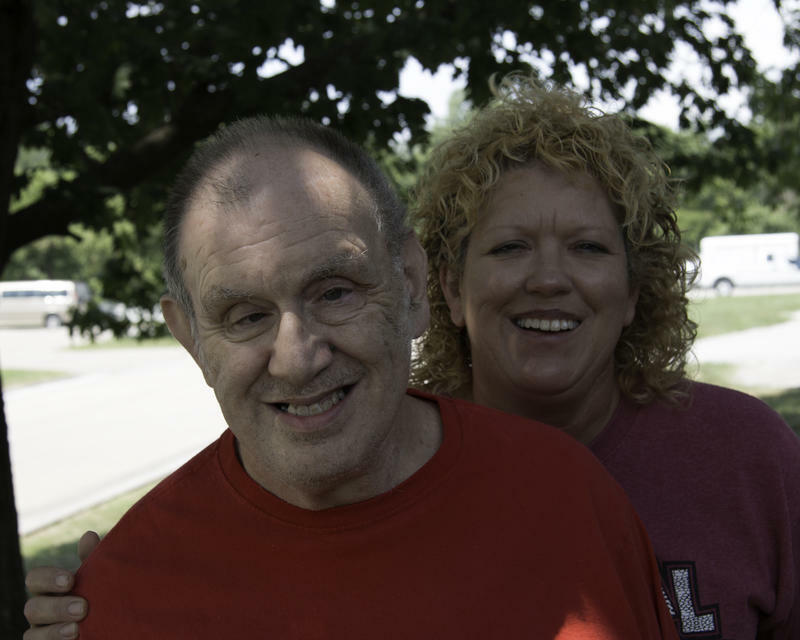 Lisa is her brother’s guardian and also a Residential House Coordinator for Audrain Development Disability Services - where she works with other people with disabilities on a daily basis. They spoke about how Darrell owning his own home has caused some healthcare struggles over the past few years.